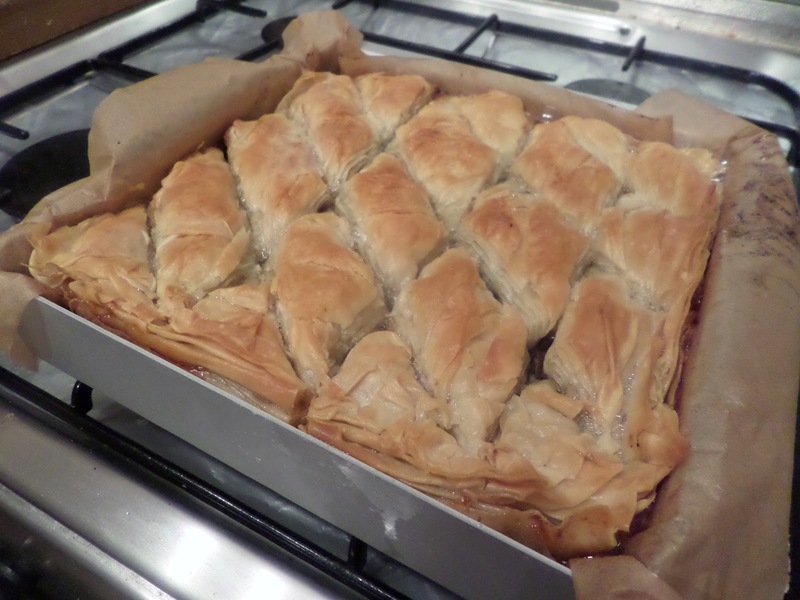 The xmas mincemeat still needs using up, so this weekend I’m trying my hand at baklava using this recipe. 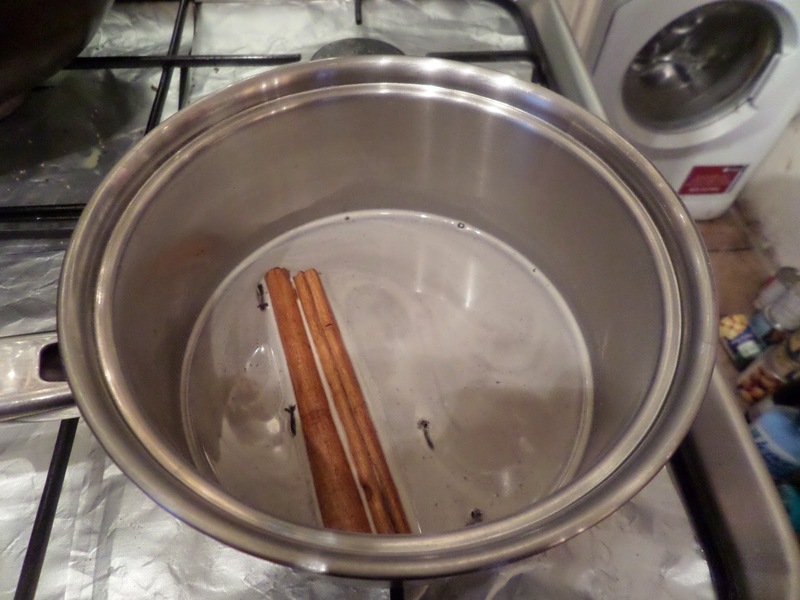 The recipe sensibly starts by making the syrup ahead of time, which is just water, sugar, honey, cinnamon sticks and cloves heated together until combined (and in theory star anise, but Soph can’t stand aniseed flavour so I skipped that). 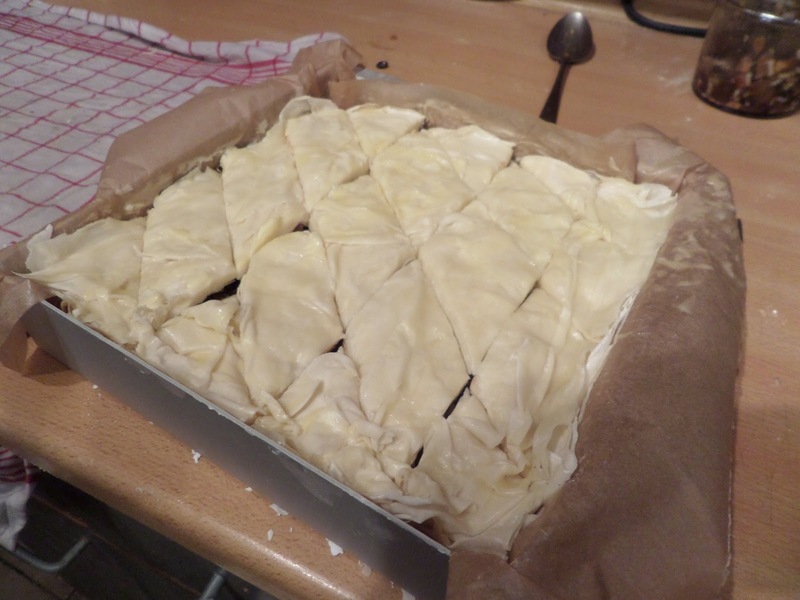 Then it’s filo faffery: layer, butter, layer butter… ad nauseam, with a couple of layers of mincemeat in the middle. Some time later it’s all assembled and it’s time to cut into diamonds. Once again: I should always measure things as my eye for distances is terrible, so there are a huge range of sizes. 45 minutes later in a 180C (regular) oven and it’s looking nicely coloured. Half the syrup gets spooned over as soon as it comes out, the other half 10 minutes later, leaving it swimming in the stuff! 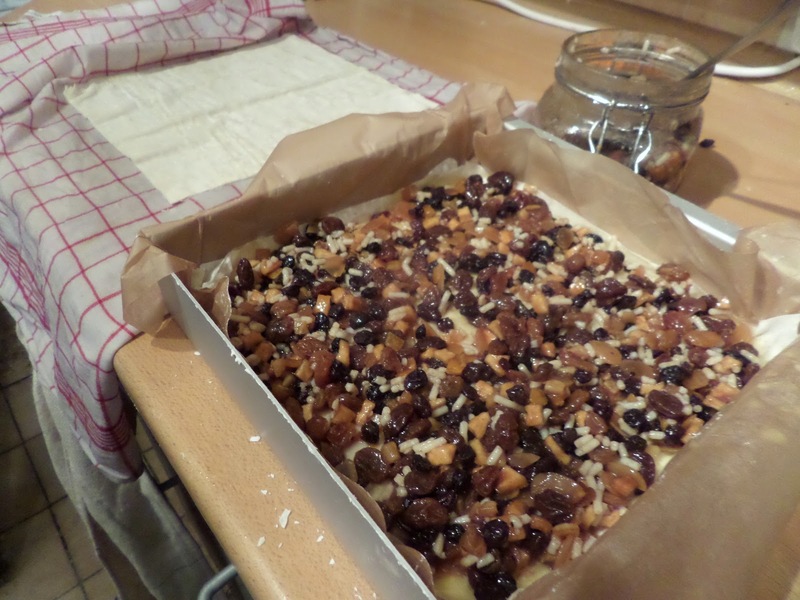 After cooling it gets a topping of icing sugar before serving. Mmm… fattening. It’s delicious… but frankly not worth the faff. 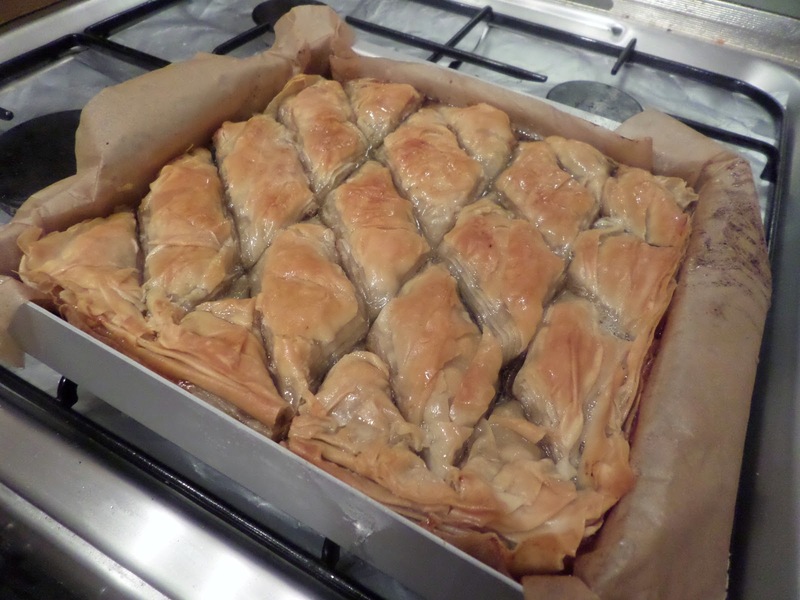 I’ll stick to buying baklava from now on. 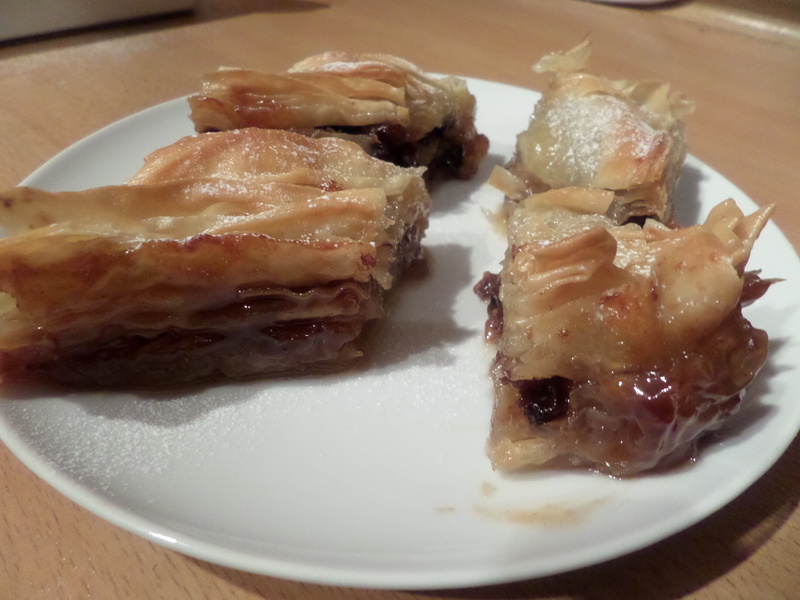 Your mincemeat baklava report won’t let me leave a comment at the bottom. I was just going to write that your finished article looks great but I can appreciate why you wouldn’t want to be bothered with all that faffing about again. Still, you know you have made it successfully.